Heat, power, passion and pace are yours to experience at their exhilarating extremes when you take to the track in a V8 hot-laps encounter. 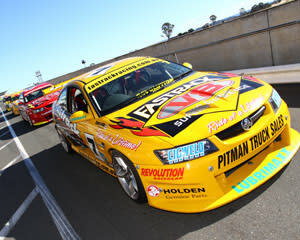 Adrenaline elevates laps driving to the next level in a wide range of V8 hot-laps experiences in Adelaide, Brisbane, Gold Coast, Eastern Creek and all other Australia-wide racing car hot spots. For a supreme hot-laps dream, it is tough to go past the V8 Drive And Hot Laps (Front Seat), Nine-Lap Combo at Eastern Creek in Sydney. 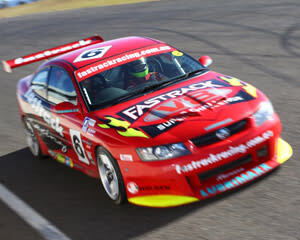 You’ll not only get set to drive a track-prepared, V8 six-cylinder Commodore or Monaro or for six laps, but your championship driver, the likes of Steve White, Shane Price and Marcus Zukanovic, will show you how it’s done with three of the hottest hot laps on four wheels. Even better, these race-driving superstars will impart their expert knowledge on cornering, apexes, exiting, acceleration, efficient braking and all the finely tuned techniques that make them kings of the championship V8 racing-car scene. This unforgettable V8 hot-laps experience, and many others, is also available at championship car-racing tracks located throughout Australia. 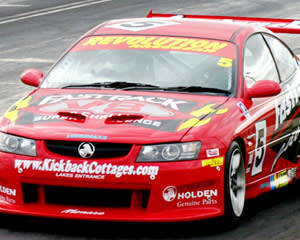 So why not give the racing car fanatic in your life a V8 gift voucher? 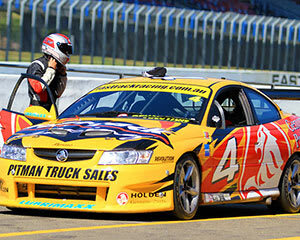 Adrenaline has tailored vouchers that can be used to purchase any V8 hot lap experience. They are valid for three years and can be emailed to the recipient or express delivered to arrive in an impressive brushed-metal gift box. 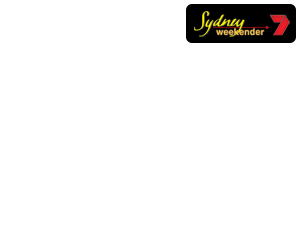 Adrenaline gift vouchers can also be used to purchase more than 2500 exhilarating experiences on offer. Is a V8 hot lap safe? Just like the experience in full-throttle motion, a V8 hot lap is designed to set your heart racing and exhilarate the senses. The championship drivers at Adrenaline who will take you on the hottest ride of your life are supreme experts in their field. They possess the know-how and professional capabilities to perform your V8 hot laps in maximum safety and exhilaration levels. You’ll be comprehensively briefed and snugly strapped into your V8 racing car for a hot-lap ride to floor you. How much does it cost to V8 hot lap? 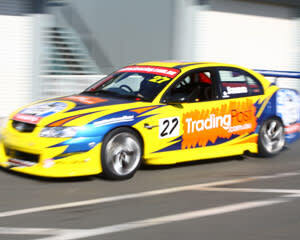 It’s hard to believe that a V8 hot lap experience starts from under $100 at Adrenaline. For a Lamborghini joy ride at the Mornington Peninsula, Extreme 4x4 Taster Drive at Avalon Raceway or even a Ride on a Centurion Tank in Brisbane, these experiences are within most tastes and budgets. 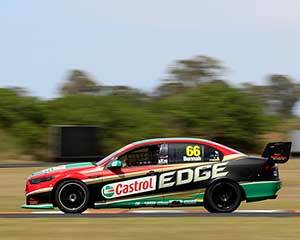 The V8 Race Car Ride (Front Seat) at Mallala in Adelaide, V8 Supercars Official Experience, Three Laps, at Norwell on the Gold Coast and V8 Car or Ute Three-Lap Passenger Ride at Barbagallo Raceway in Perth are also competitively priced: to reflect the track action! 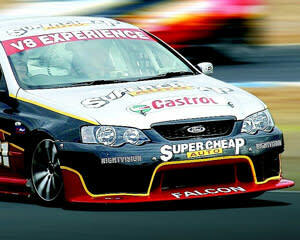 What's it like to experience a V8 hot lap? There is no driving experience quite like a V8 hot lap. Imagine being strapped into the passenger seat of a custom-built championship V8 racing car. The anticipation is enough to send your heart and pulse racing and enliven your senses to new extremes. Then the fun truly begins. Your professional V8 racing car driver will tear around the track at rubber-burning speeds that defy belief and exceed expectation. These expert racing drivers effortlessly and exhilaratingly perform the full capabilities that these primed and super-powered vehicles are capable of in the hottest race experience you are ever likely to encounter. A V8 hot lap is quite literally poetry in fast track, hair-raising, breathtaking motion. Your body will shake, soul will be stirred, heart will be pounding and mind will be electrified after your hottest of hot lap experiences. You’ll be forever changed (and supercharged) after your V8 hot lap experience and craving more of before.